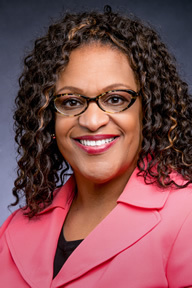 Vicki R. Bernard, Ph.D., LPC, LMFT, Director - Dr. Bernard joins the University with a wealth of counseling experience in higher education and in the private sector. She has directed mental health counseling programs in the St. Louis area for more than 10 years. She holds two advanced degrees from Saint Louis University, a Master of Arts in Counselor Education and a Doctorate of Philosophy in Marriage and Family Therapy. She also has a Master of Business Administration from the University of Missouri. 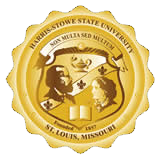 Dr. Bernard has a passion for student development and is excited to be a part of the Harris-Stowe State University team. She can be reached at (314) 340-5089, BernardV@hssu.edu or in Room 111A of the Rev. Dr. William G. Gillespie Residence Hall and Student Center (GRH). Tanisha Thelemaque, M.S., Counselor-in-Training-Ms. Thelemaque has a wealth of knowledge and experience in counseling and research on African American mental health. She holds a B.A. degree in Psychology from Arcadia University, and is currently pursuing her Doctorate of Philosophy in clinical psychology at Saint Louis University. 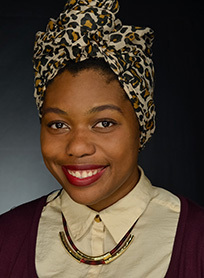 Her research focuses on racial discrimination, trauma, and mental health in Black or African American men and women. She has also worked extensively in the St. Louis community promoting mental health among veterans, low income individuals, and ex-offenders. She can be reached at (314) 340-5679 or via email at ThelemaT@hssu.edu.